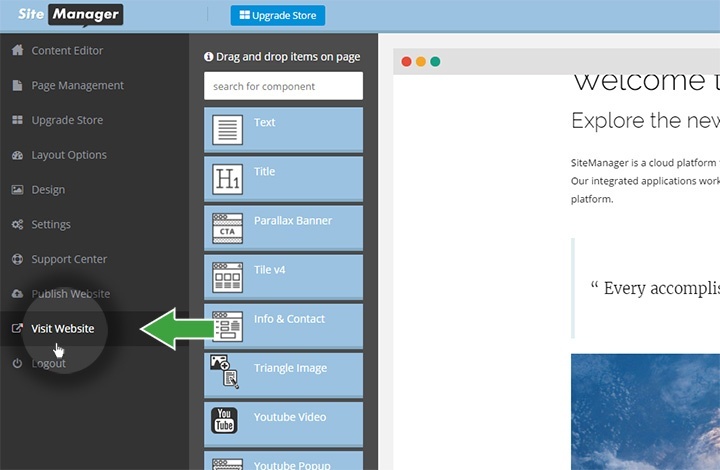 In this mission you will learn to install a new page component from the upgrade store. You will add it to a page, edit it and immediately see the results. Let's get started. Step 1 : Upgrade store. Login to the tutorial project that you created (see tutorial setup). On the CMS homepage click the upgrade store button or add more elements. 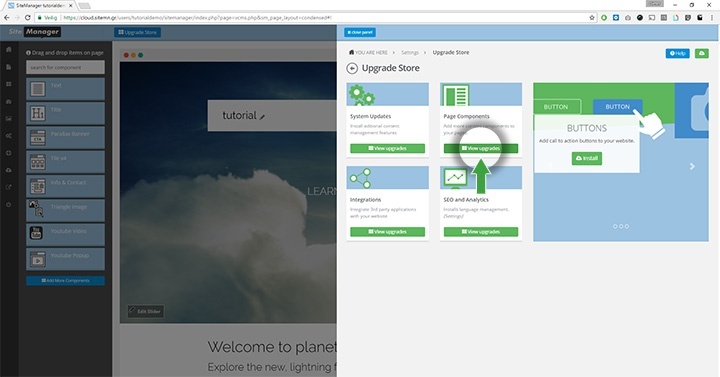 In the upgrade store click on the Page Components button. Scroll down untill you see the Blockquote component. This is the element we will add to the project. Click add to site to install the component. After the component is installed close the upgrade store pop-up to return to the CMS homepage. Click on the Add element button to view the installed components on your project. Drag and drop the blockquote component below the intro text of the homepage (see below). Click the Save button (1) and then the back button (2) to return to the CMS visual editor. 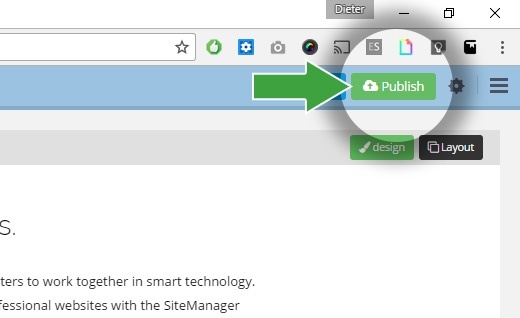 To put your changes online press the Publish button. After publishing you can click the preview button to visit your website. Well done! 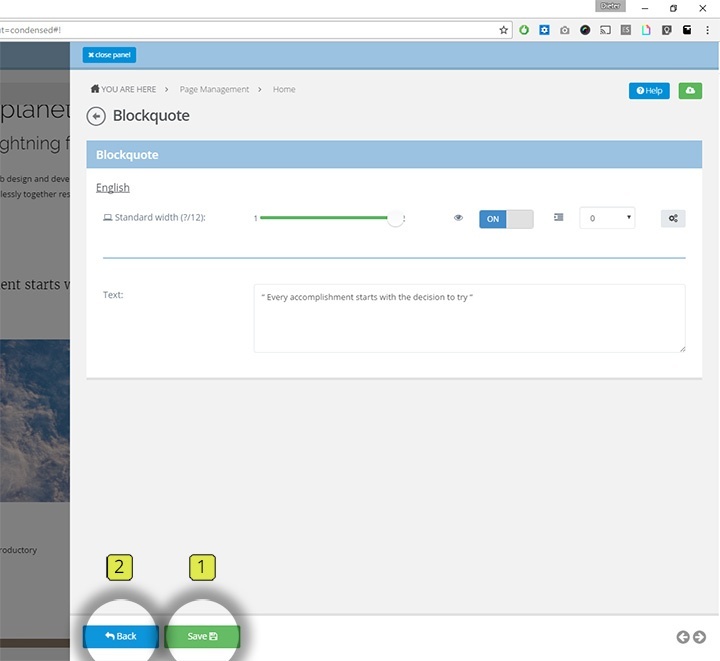 In the next onboarding mission you will style the installed blockquote component using the design application. 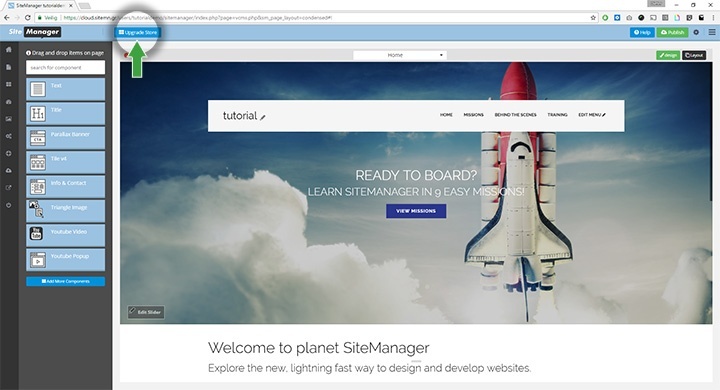 Thank you for trying out SiteManager! Would you like to get your own personal demo with one of our specialists? Send us an email at hello@sitemanager.io.